When you enter the restroom of a public building, i.e. 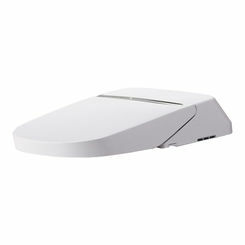 the movie theater, a school, or grocery store, the toilet system you see is typically standard throughout all commercial bathroom installations. The look is very similar industry-wide. 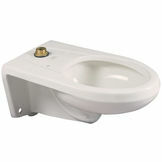 A commercial-grade toilet with only one seat (no cover seat) attached to a chrome flush valve that is exposed rather than installed within a toilet tank. 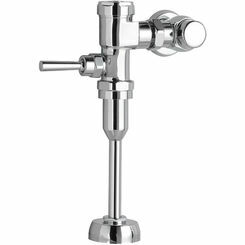 Many commercial plumbing contractors have started to install automatic flush valves for public restrooms due to the cleanliness that comes with having a toilet that will flush without having to be triggered manually. 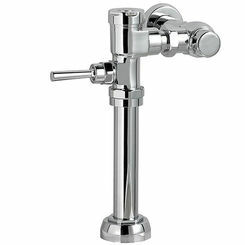 Typically, installing an automatic flush valve is more costly but in the long run the benefits of doing so outweigh the costs. 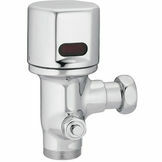 Many consumers prefer automatic flush valves although the repair costs of an automatic unit are considerably higher than that of a manual valve. 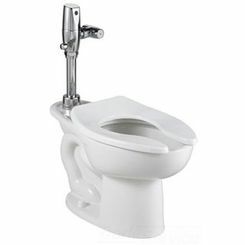 When automatics were first introduced they did not have an option for users to manually flush the toilet when the need arose. 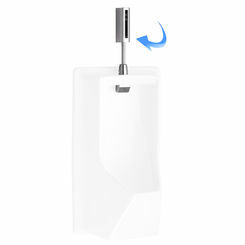 In order to allow flushing in instances where the automatic function is failing, many commercial toilet manufacturers now offer features that allow users to manually flush the toilet at their convenience. 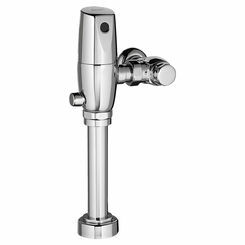 At PlumbersStock, we sell both automatic and manual flush valves so our customers are able to specify which version they prefer on a case by case basis. 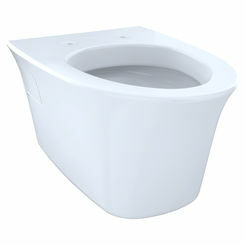 Commercial units typically come with two options for the bowl, the first being that of a standard toilet bowl that is installed through plumbing in the floor, the second option is to install a wall-hung toilet in a public restroom. 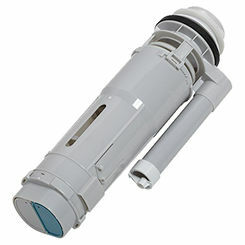 It is very rare for a commercial toilet to come equipped with a tank. 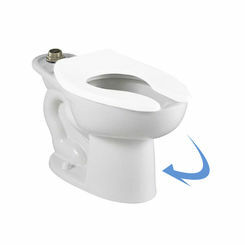 The flush valve performs the role of the tank and is exposed above the bowl, whether the toilet is standard or wall-hung. 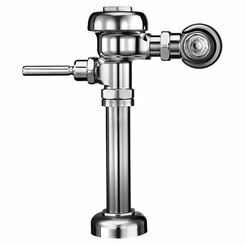 Typically, commercial units are standard and installed with plumbing in the ground. 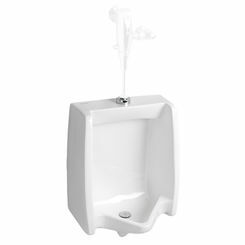 Wall-hung units are typically seen in the restrooms of a school. 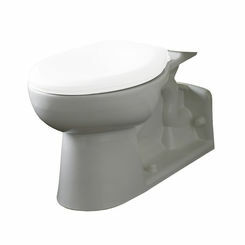 Aside from the plumbing mechanism and installation, there is no striking difference between a wall-hung toilet and its standard counterpart. 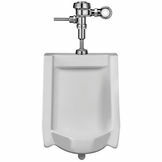 With hundreds of choices in urinals, you shouldn't have any trouble finding a unit compatible with both your bathroom setup. 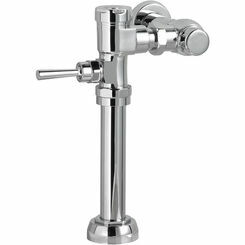 We have water-conserving models, including water-free units. 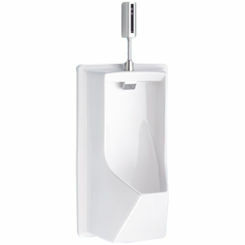 We also offer all the commercial toilet parts and accessories you expect, like urinal screens. 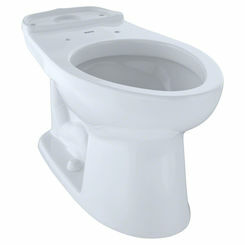 Any toilet seat could be used in public restrooms as long as the bolt assembly is compatible, but most commercial toilet seats look the same and are sold to specifically be for commercial use. More often than not, they come with only the seat with no cover included. The reason most commercial units do not include a cover is tied to cleanliness. 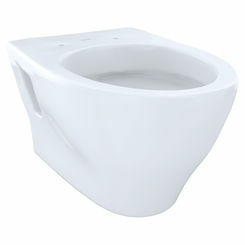 The fewer components a toilet has the easier the unit will be to clean. 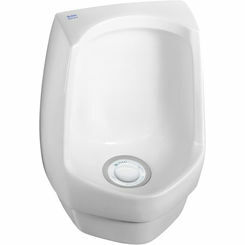 We also carry everything from urinal covers to screens. 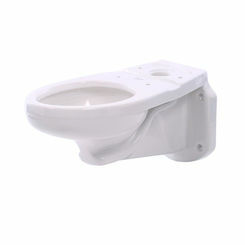 PlumbersStock offers a wide range of commercial toilet parts, as well as a bevy of knowledge. 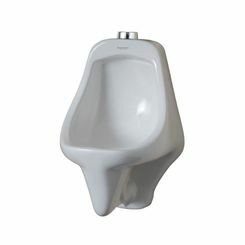 Put our service to the test when you need a good set of fixtures and parts for your public restroom.